"This first novel is, on several counts, one of the most exciting YA books to appear recently. 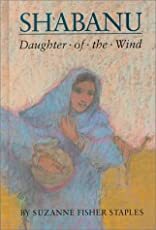 Staples is so steeped in her story and its Pakistani setting that the use of a first-person voice for a desert child rings authentic--the voice is clear, consistent, and convincing. Shabanu and her sister are to marry brothers as soon as they all come of age. But she will eventually lose her betrothed and be promised to a wealthy landowner to settle a feud. 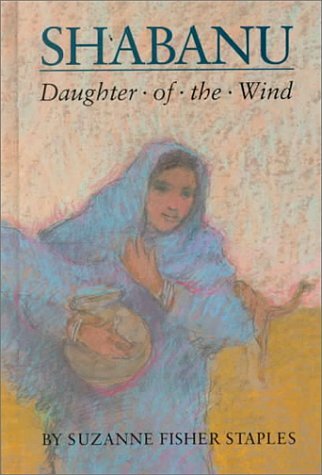 The richness and tragedy of a whole culture are reflected in the fate of this girl's family. Through an involving plot Staples has given readers insight into lives totally different from their own, but into emotions resoundingly familiar." --(starred) Bulletin, Center for Children's Books. About Suzanne Fisher Staples (Author) : Suzanne Fisher Staples is a published author of children's books and young adult books. Some of the published credits of Suzanne Fisher Staples include Shabanu, Shiva's Fire, Under the Persimmon Tree.